The LED Cylinder Light - DMX RGB provides dramatic, decorative LED lighting for entryway pillars, restaurant lighting, condominiums, hotels, lobbies, and luxury commercial properties. 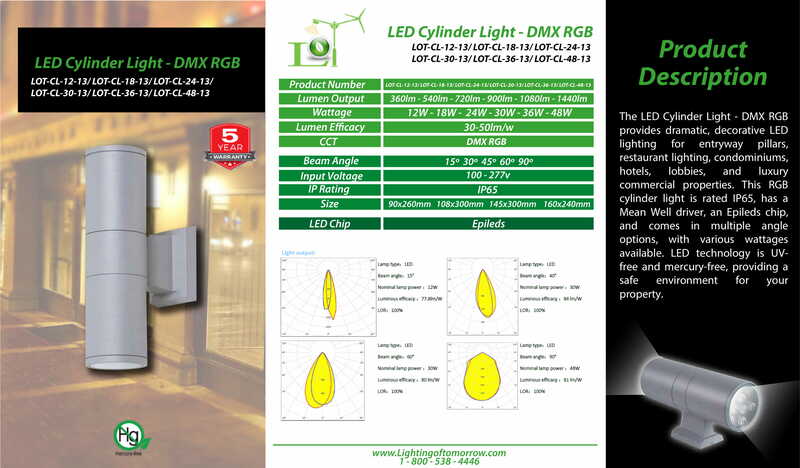 This RGB cylinder light is rated IP65, has a Mean Well driver, an Epileds chip, and comes in multiple angle options, with various wattages available. LED technology is UV-free and mercury-free, providing a safe environment for your property.